Cockatoos can create and actually play the drums, new research shows. And like all drummers, they do it for the ladies. If any artists are interested in cutting a very original new single, they might want to consider getting some male palm cockatoos into the studio. These colorful birds were recently discovered to be the only species — aside from humans — capable of drumming a rhythmic beat with their own musical instrument. Like most drummers in the world, they do it for the ladies. Biologist Robert Heinsohn first noticed the mating technique two decades ago in Australia. 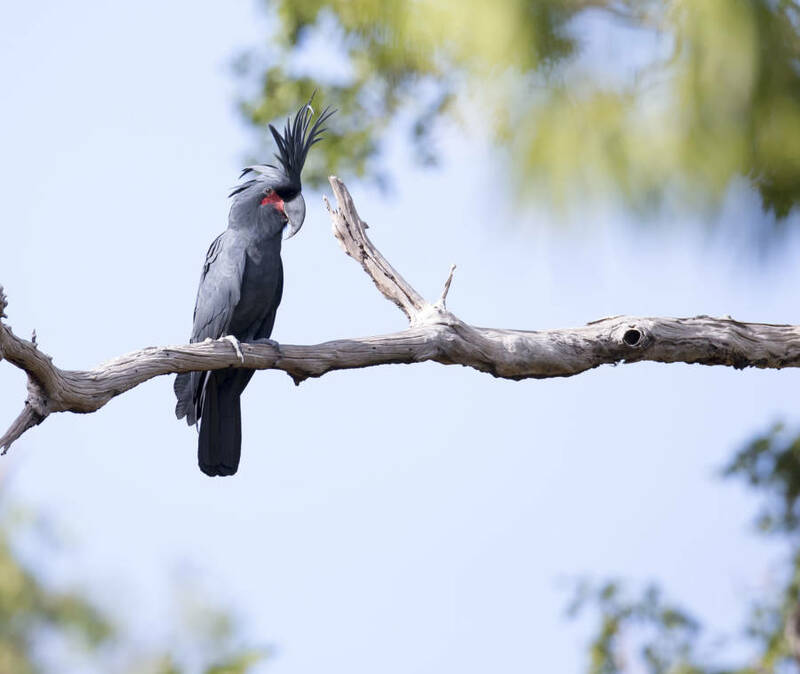 “The cockatoo was clutching what looked like a stick and banging it on the trunk, and every so often he would pause, erect his amazing crest, and let out either a piping whistle or a harsh screech,” Heinsohn told National Geographic. 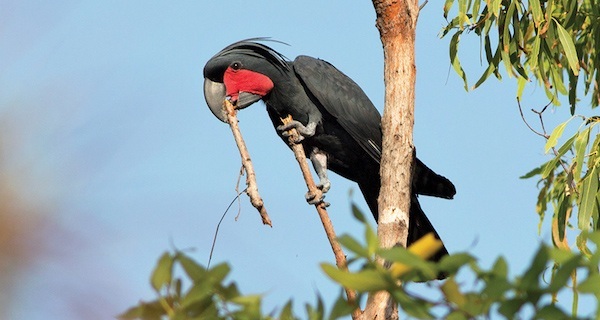 Unlike chimps — who have also been known to drum with twigs — these studs of the bird world intentionally break off pieces of sticks and seeds for the express purpose of finding just the right sound. Their heads bob and their appropriately mohawk-esque head-feathers stand on edge as they hammer out regularly sequenced patterns. In other words, they’ve got rhythm. Heinsohn began videotaping the birds, observing 18 of them for a study published this week in the journal Science Advances. He discovered that each musician has his own style — using different beats, drumsticks and surfaces. But Heinsohn has also observed the birds copying some sure-fire hits, since particularly appealing sounds were found to spread throughout the cockatoo communities. 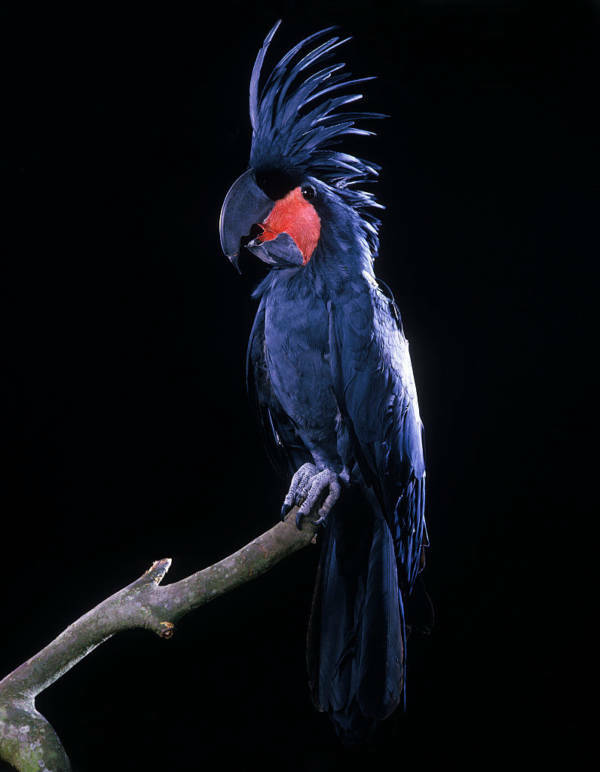 And musical expression isn’t the only thing these birds have in common with lovestruck humans. Unlike humans, who have appreciated music in group settings since the dawn of history, cockatoos apparently prefer a smaller, more intimate audience. Researchers are looking forward to investigating whether variations in rhythm hold different meanings for the female objects of desire. This trait might teach us something about how our love of music evolved in the first place, Heinsohn said. This human-like trait is particularly surprising in the birds, since even the cleverest of apes (our closest animal relative) have trouble following a beat. In fact, it took scientists an entire year to train a rhesus monkey to drum in time with a metronome. Next, read about the oldest wild bird in the world that just had a baby at age 66. Then, check out the prehistoric baby bird found incredibly well-preserved in amber.